It's the last post in the series of redressing dolls. 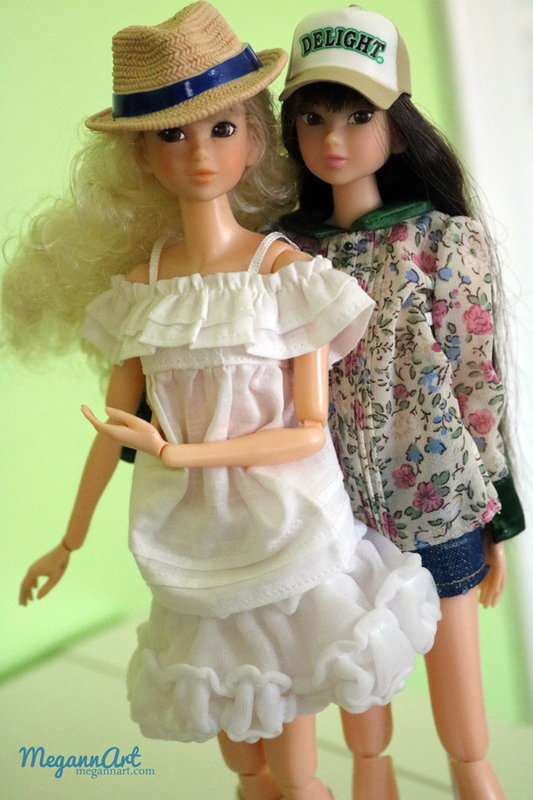 I enjoyed going through the majority of my dolly things, organizing, and getting dolls ready for the cabinet. I decided to end the series with Ruruko -- She's so loved by so many, including myself. She is dressed in an Azone fashion and Barbie-like shoes. She looks like she is ready to bring on the holidays, but she has a little while to wait. Many of the pages in the adult coloring book, Dolly Coloring Studio, are inspired by a variety of different dolls. 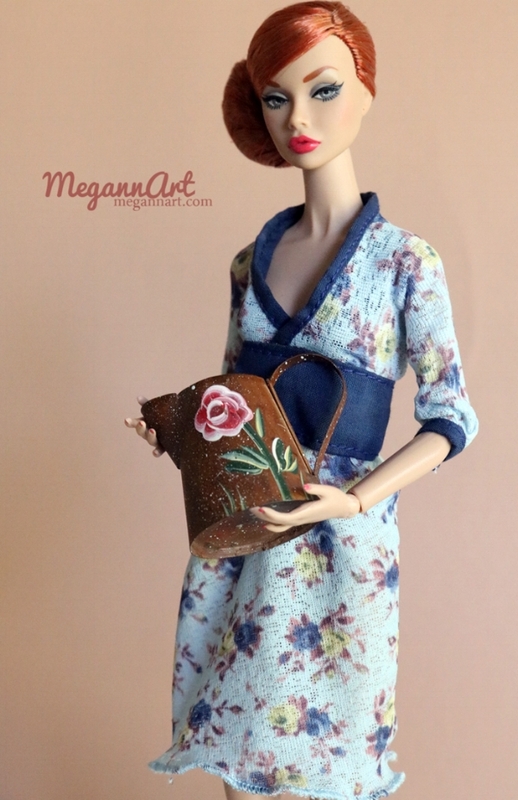 Occasionally, the dolls in the book get to wear clothing that appears in Vogue magazine! The Dolly Coloring Studio page highlighted in this post is inspired by vintage Barbie and a few pieces found in the September 2010 issue of Vogue. The doll is wearing a dress inspired by Dagmar with clips and a brooch by House of Lavande (pictured below, bottom right corner). In addition to the book, you can also buy a postcard to color. Support an artist! Visit my Etsy shop. You can also follow my Instagram, Twitter, Facebook, and Pinterest pages.